Franz Xaver Messerschmidt, Afflicted with Constipation, 1771–83, lead-tin cast. The eighteenth-century bookseller Christoph Friedrich Nicolai was a leading figure in the German Enlightenment and a quixotic critic of the younger German Romantics—Goethe, Schiller—who would soon supplant his own circle of intellectuals. 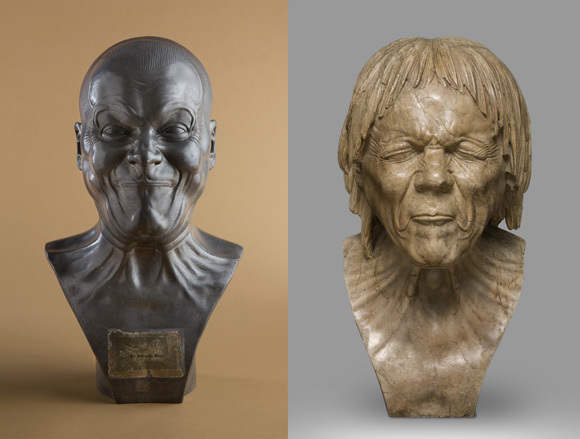 He was also a keen observer and chronicler, and in his “Description of a Journey Through Germany and Switzerland,” Nicolai wrote of his 1781 encounter with sculptor Franz Xaver Messerschmidt in a breezy dispatch that seems eerily like a contemporary profile of a living artist. 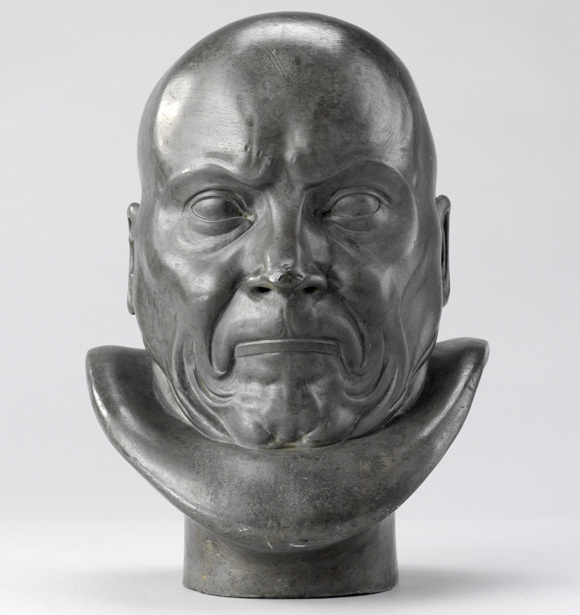 Once a court sculptor preparing imperial commissions, Messerschmidt had, by the time Nicholai met him, descended into a kind of necromantic madness and retreated to Pressburg, where between 1771 and 1783 he worked over a private series of busts—or “heads,” as they came to be known—that exhibit both a stunning realism and a mesmerizing fascination with the expressive possibilities of the human grotesque. The text below is an abridged version of that profile, translated by Herbert Ranharter. 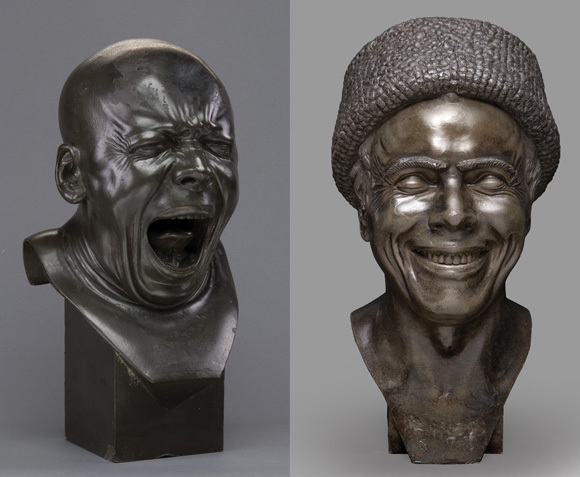 From left: The Yawner, 1771-81, tin cast; The Artist as He Imagined Himself Laughing, 1777-81, tin cast. The most peculiar artist was without a doubt Franz Xaver Messerschmidt, who subsequently died in August of 1783 in his fifty-first year. 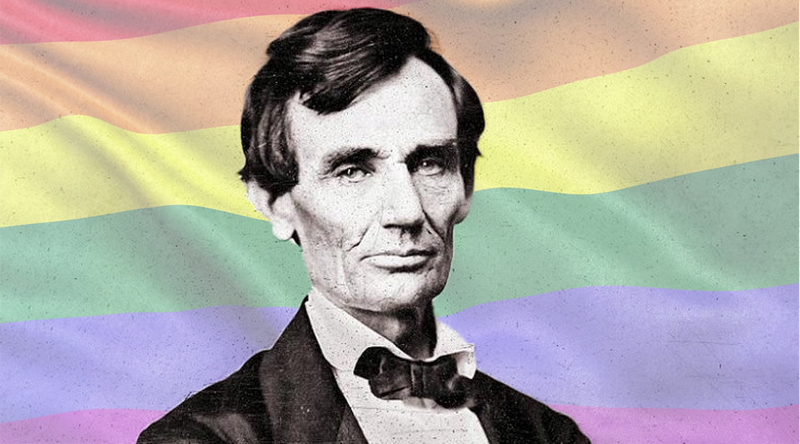 He lived and dressed like an ordinary citizen. When he began his studies in Rome, he bought a trunk of a lime tree and lugged it into the Farnesi Palace, where he put it down in front of the Hercules statue. Two Spanish sculptors, living off their courtly pensions, dressed in their fashionable morning gowns while mucking about with their measuring devices and clay models, looked over their shoulders at the German stranger with the shabby clothes and short hair and rather thought him to be a day laborer. Messerschmidt set to work with a few carving knives and whittling the wood this way and that. The other artists watched him and, particularly the Spaniards, shrugged their shoulders, thinking that nothing good can come of such activity. Their mockery soon turned to astonishment when they saw a beautiful Hercules emerge from the unwieldy trunk. The Spaniards, who had never been taught this approach, thought that this must have been accomplished with the help of evil spirits, and one of them made utterances to that effect. Messerschmidt, who was always a bit brusque, slapped this man, who was not particularly liked by his fellow students, for making such assertions. Thus Messerschmidt asserted his place with honor, giving him a new status among his peers. He returned to Vienna where he held a position at the academy teaching sculpture around about 1768. 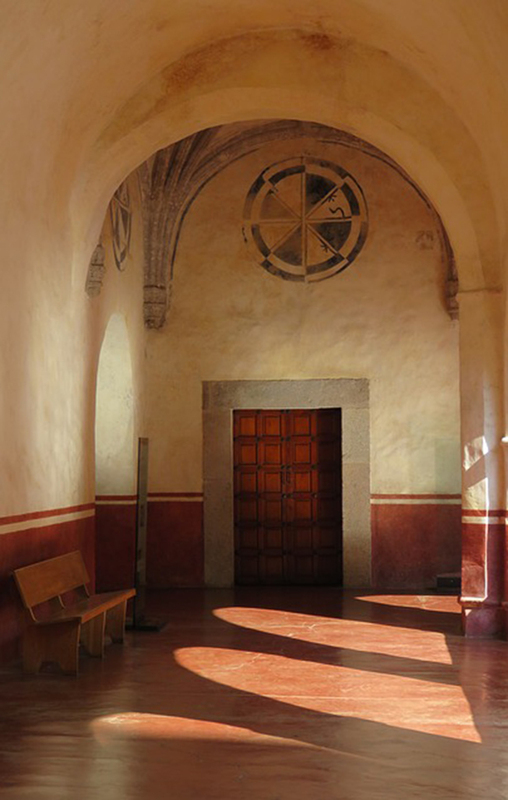 All academies are cesspools of petty squabbles and intrigues. In Vienna, it was customary to bow deeply before the assorted directors and functionaries of the academic senate and to kowtow to them in humble dependence. This was not a good thing for Messerschmidt, who did not respect any of his competition as having anywhere near his abilities. 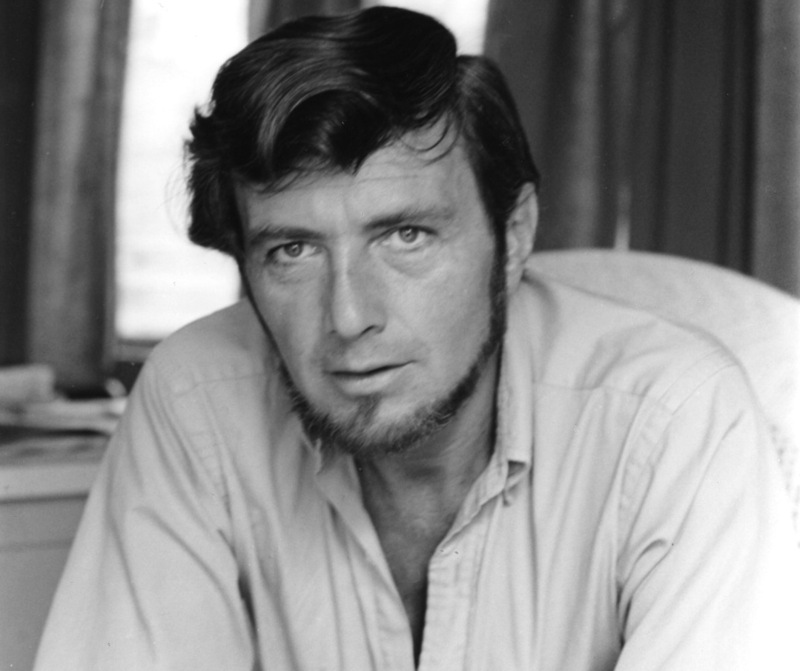 He complained bitterly about the many injustices and chicaneries that had been perpetrated on him. I shall not expound on this, however. After a while, Messerschmidt sold all his artwork, drawings, engravings, books, and other possessions and moved to Pressburg, where he settled in a suburb named Zuckermandl. He bought a house close to the Danube. He lived — supporting himself mostly with simple works that were commissioned from him — a simple existence, with few frills, but a happy one. 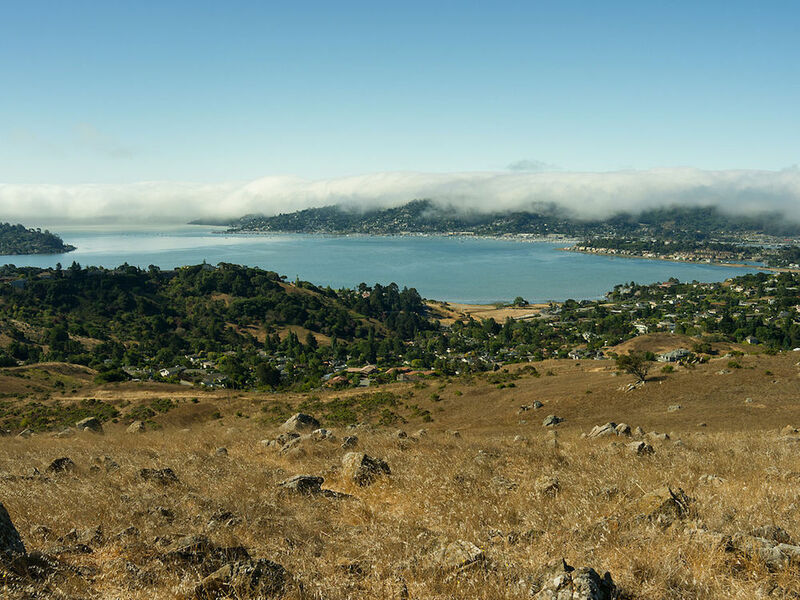 I found him there, in his isolated house, strong in body and happy in his composure. He came across as an open and uncomplicated character, and we soon established a good rapport, especially since I had brought a letter of introduction from an artist whom he had known well while in Rome. His entire furnishings consisted of a bed, a flute, a tobacco-pipe, and an Italian book about human proportions. This was all that he wished to keep of all his previous possessions. Aside from that, there was a drawing of an Egyptian statue without arms on half a sheet of paper hanging near the window. He never looked at this drawing without reverence and awe. From left: Childish Weeping, 1771–83, tin-lead cast; The Ill-Humored Man, 1771–83, lead-tin cast. In Vienna he fell into the company of some people who boasted a secret knowledge of dealings with invisible spirits and mastery over the forces of nature. These kinds of people are very prolific in Europe and especially in Germany. They cripple the minds of a great many and exercise power over these people in the employ of others behind the scenes, for whom such activities are quite convenient. Messerschmidt was a man of fiery imagination; he was healthy and powerful in bodily strength. 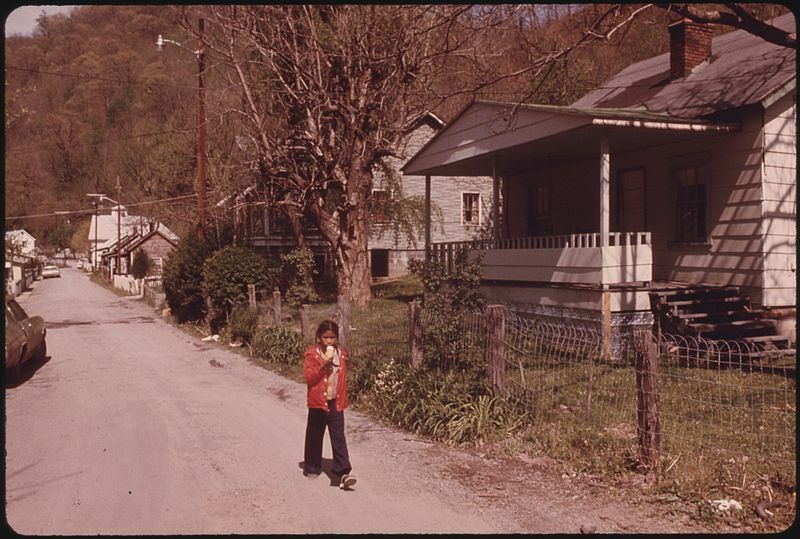 He lived a predominantly solitary and celibate life from his early youth on. This he emphasized to me as proof for his claim that he really sees ghosts and that they are not just figments of his imagination. To me, this was evidence of the exact opposite. His sweeping foolishness had the most honorable origin. A healthy strong man, working in a sitting position, living consistently alone and celibate while constantly straining his imagination, must experience some bodily consequences as a result of insufficient circulation. Nervous palpitations combined with a lively imagination and his favorite prejudices surely will produce all manner of spirits that, although conjured up from within, may well manifest seemingly from the outside. From left: A Strong Man, 1771–83, tin-lead cast; Just Rescued from Drowning, 1771–83, alabaster. Messerschmidt expressed himself reluctantly and without precision when speaking of his concepts, thus revealing much of how these concepts in his head really were. This lead me roughly to the following conclusions: His insistence that ghosts haunted, scared, and tortured him at night was an irrevocable axiom; anybody who contradicted or doubted this fact would be perceived as an enemy by him. He also couldn’t comprehend for a long time why he who lived such an ascetic life of celibacy would have to endure such torture from the spirits, who should have been, according to (romantic) theory, most sympathetic to him. As he thought about how to gain mastery of this dilemma, the perfect solution for him and anybody else came to him in a sudden brainstorm. He arrived at a very true principal: All things on earth have very specific relationships and all effects have their causes, respectively. He expounded this idea a bit vaguely by saying, “Everything on this earth is ruled by specific proportions, and everybody who evokes such proportions in himself, ones that do not match someone else’s or are superior to someone else’s, has to evoke forces that are equal or superior to compensate for the forces aroused in the other person.” From this half-comprehended sentence, mixed with his foolish ideas of ghosts and his knowledge of art, he constructed a methodical system that appeared intelligent yet was full of nonsense, and in the manner of all people whose imagination got ahead of their intelligence, he believed it to be the absolute truth. It is common knowledge how much fuss these romantics make of certain natural powers that the Egyptian Hermes (who, I am sorry to say, never existed) supposedly possessed. And thus, Messerschmidt also turned his eyes to Egypt, and as an artist, imagined that the true secret of proportion lies in the proportions of the Egyptian statuary. Especially so in the drawing he had hanging near his window, which supposedly was the cumulative result of a surveillance of different parts from different statues. He thought that the proportions in this drawing were the normal proportions for all human forms. He also imagined that the proportions found on the head of a human echoed the proportions of the entire body. This of course, was half true and half false, as is so often the case when a truth is not thoroughly searched out. There is always a relationship between all parts of the body as surely as there is a relationship between cause and effect. Therein lays the physiognomy of every real human body. Equally, one can assume a fundamental, general relationship within the human body. On this, all three-dimensional arts are based, as are the ideals of beauty and drawing. However, to think that these relations, which are deeply hidden under so much collision, could easily be sorted out, makes no sense. 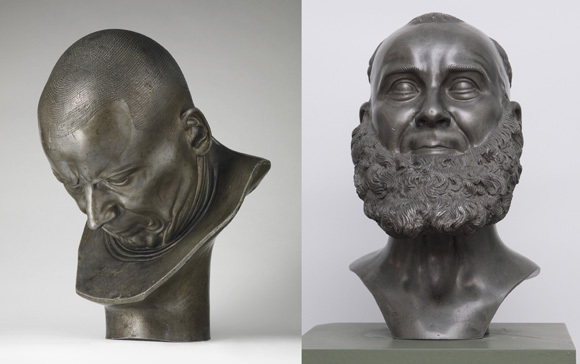 From left: A Hypocrite and Slanderer, 1771–83, metal cast; “Capuchin”, ca. 1780, lead-tin cast. He resolved to delve further into the depths of relationships in an effort to gain control over the spirit so that the spirit may no longer have control over him. He pursued this nonsensical theory in practice to the extent that if he pinched different parts of his body, especially the right side under his ribs, and combined the ensuing grimace of his face with the spacing of the ribs, it would lead consistently to the ideal Egyptian proportions and thus the highest perfection was achieved. In this foolishness, he was supported by an Englishman who would visit him, and M. thought of him as the only other person who also understood this system. He said that the Englishman, who didn’t speak German, exposed to him the spot on the thigh, which corresponded to the spot on the head that M. happened to be working on, and this convinced him utterly that his system was unquestionably correct. After that he really set to work; he pinched himself and observed his grimaces in a mirror and believed to have achieved the most admirable results in gaining mastery over the spirits. He rejoiced in his system and resolved to preserve it for posterity by recording these grimacing relations. According to his opinion, there were sixty-four different varieties of grimace. By the time I visited him he already had finished sixty different heads, some of marble, some of tin and lead, most of them life-size. He had spent the whole of eleven years in constant toil on this fatal effort with a patience that must be admired. 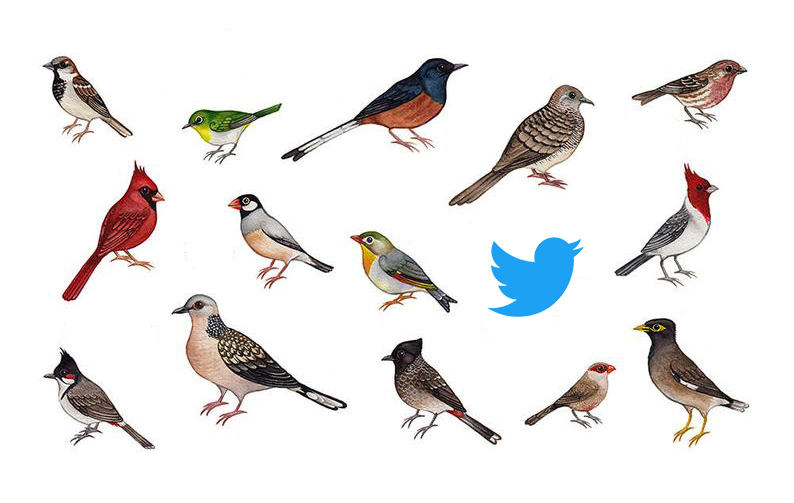 All these heads were his likeness. I saw him work on his sixty-first head. He would look into a mirror every half-minute and made with great accuracy the grimace he needed. As art, the heads are masterpieces, especially the heads that had natural positioning; they cannot be looked at without admiration. 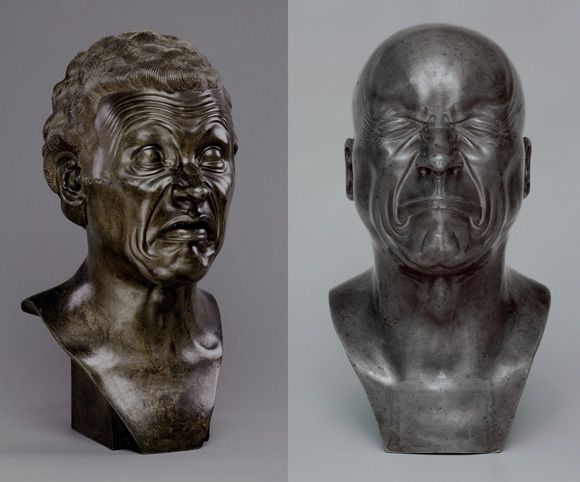 “Franz Xaver Messerschmidt 1736–1783: From Neoclassicism to Expressionism” is currently on view at the Neue Gallerie in New York. The text above is from Friedrich Nicolai: Description of a Journey Through Germany and Switzerland in the Year 1781, Volume IV, Berlin and Stettin 1785. The translation is by Herbert Ranharter, who also holds copyright to the translation, and who reserves all rights and web-rights.